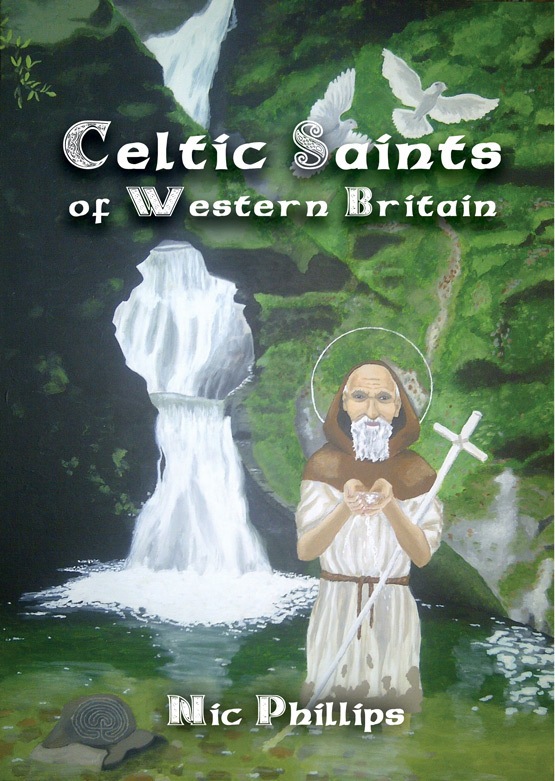 Celtic Saints of Western Britain is an exceptional exploration of the lives and deeds of many of the saints of Wales, Cornwall, Devon and Somerset. Included are better known saints such as David, Nectan, Michael and Piran, as well as some of the more enigmatic figures, such as Cuby, Helen, Just and Morwenna. Author and artist Nic Phillips successfully brings the saints to life – both by recounting the stories of these mystical, dramatic, humorous, and sometimes argumentative characters and through his distinctive, full-colour illustrations inspired by pilgrimages through the sacred landscape of their world. Drawing on historical and archaeological research, as well as medieval hagiographies, place names and folk remembrances the reader is invited to explore the saints within the Celtic landscape they inhabited. They travelled widely, and their lives were often tangled in a complex web of family connections, teachers and acquaintances. We find the Irish saints Brigid and Patrick celebrated in the south-west of England, alongside biblical figures such as the archangel Michael; and Joseph of Arimathea, who according to local legend, founded Britain’s first church at Glastonbury. Occupying an imperative place in the Celtic world, the lives of the saints were filled with miracle and magic, sacrifice and compassion. Nic Phillips clearly demonstrates their enduring power as teachers, through the humanity and virtue they embody.